It Takes a Community Foundation (ITAC), the charitable 501(c)(3) organization started by multi-Platinum recording artist Aaron Lewis and his wife Vanessa, along with first-time partner KIX 100.9 Pioneer Valley’s Country, will host the third annual Aaron Lewis & Friends benefit concert on Friday, June 14, 2013, starting at 7:30 pm at The Mass Mutual Center, located at 1277 Main St in Springfield, Mass. The night promises to include plenty of surprises and highlights, as Aaron announces friends Jerrod Niemann, Craig Morgan, Eric Paslay and Jared Ashley have joined the all-star lineup. Reserved seating is available for $35 per ticket, and premium VIP tickets are available for $109 per ticket by visiting Ticketmaster.com Proceeds from the event will benefit the ITAC. “We moved to Worthington, Mass. because we wanted our children to grow up and go to school in a community where everyone looks out for everyone else. We had this wonderful school with great energy and small classes, but we were told that we were going to lose all of that, and our kids were going to be bused far way to a distant school. We weren’t going to stand for that,” adds Vanessa Lewis. It Takes a Community Foundation, Inc. is a 501(c)(3) charity founded by musician Aaron Lewis and his wife Vanessa. The charity’s focus is reviving rural communities throughout the greater New England area. In furtherance of its goals, It Take a Community Foundation, Inc. will work with local leaders and community organizations that have firsthand knowledge of the needs of their communities. It Takes a Community will strive to raise funds and support these community groups who strengthen, engage and enrich the communities they are in, sustain diminishing public services and provide assistance to communities in crisis. The charity will work to unite resources and ideas to help people and communities create a better tomorrow. Aaron Lewis’s 2011 debut solo release, Town Line, shot to #1 on Billboard’s Country Album Chart. His first solo single, “Country Boy” was certified Gold, earning him multiple CMA, ACM and CMT Music Award nominations; the video has been streamed over 15 million times to date. Lewis is currently the headlining act on the Jägermeister Tour – premiering songs from his current album, The Road, a project released by Blaster Records via Warner Music Nashville. As the frontman for the multi-platinum selling band Staind, Lewis is the songwriter and voice behind the most-played rock song of the past decade, “It’s Been Awhile,” in addition to three No. 1 hits and eight Top Ten singles. Lewis’s new single, “Granddaddy’s Gun,” is sure to make a huge splash when it ships to country radio soon. 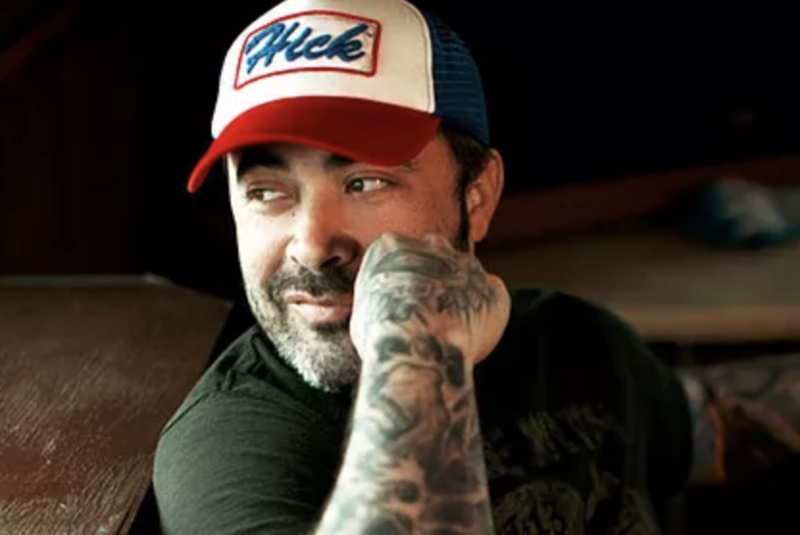 For up-to-date information on Aaron Lewis, visit www.aaronlewismusic.com.